From 1933 to 1940, more than 800 film professionals fled Nazi Germany for Hollywood. Despite challenges of language, finances, lodging and assimilation, many of them found success in America and even helped to shape the film industry. In fact, in the years leading up to World War II, American cinema was so enriched by émigrés that is difficult to imagine classic movies without these diverse talents. 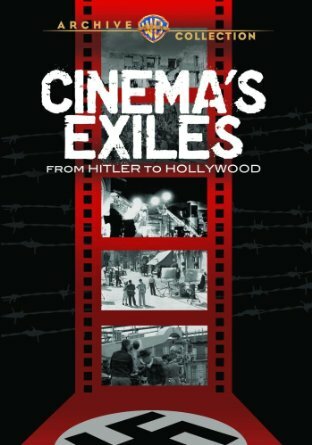 The story of these artists is told with great insight and compassion in director, writer and producer Karen Thomas' documentary, Cinema's Exiles: From Hitler To Hollywood (2009), now available on DVD from Warner Archive. Without the voices of these refugees from Hitler, some of the most beloved films would not exist, or at least in the form that audiences have come to love. 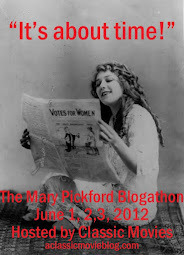 There would be no High Noon (1952), Some Like it Hot (1959) or Casablanca (1942). Directors like Fritz Lang, Michael Curtiz, Billy Wilder and Robert Siodmak were already established and well-respected in Germany, but the trauma of being driven from home and the resulting displacement would affect their art, giving their films a depth and voice they may not have otherwise found. These artists worked to give opportunities to other immigrants, a fact that is powerfully presented in the film when the origins of the very international cast of Casablanca are examined in detail. The film also features writers, musicians and actors and other professions who would make an important impact on the industry, like actor Peter Lorre, composer Franz Waxman and writer Salka Viertel. Though many of the talents profiled are long gone, actress and émigré Lupita Kohner is on hand to offer valuable stories of her experiences in Germany and in Hollywood, where she found success and helped others coming to the US. In order to get a sense of their talents and the success they left behind, much of the film is devoted to the filmmakers' lives in pre-Nazi Germany, where they had already risen to the top of the national film industry. Clips from movies like Lang's M (1931) and Josef von Sternberg's Blue Angel (1930), and Dietrich's enchantingly charismatic screen test for the latter film, show the distinctive flair these filmmakers would eventually bring to Hollywood. Perhaps they would struggle with language and culture, but these were fully-formed artists who knew their craft. Cinema's Exiles explores the lives of these filmmakers with great understanding for their plight. You are reminded that they were left not only without a country to live in, but a place where they belonged. Aware that Germany was not popular in the US, they would not speak their native language on the street. To simply find work they would need to not only learn, but master English and compete for highly-valued positions. Many of them arrived with only the clothes on their backs, lacking nearly all the physical and emotional necessities of life. The existing German community in Hollywood ensured that these refugees were not left adrift. They would offer a place to stay, money, sponsorship and aid in finding employment. Marlene Dietrich and director Ernst Lubitsch even started a sort of underground railroad for émigrés to help them enter and thrive in the US. Germans already in the industry would also donate a percentage of their salary to a sort of community chest called The European Film Fund for those who needed assistance. Because language was the primary barrier to working in Hollywood, the first émigrés to find success were composers. Franz Waxman was the first to find success writing scores and ultimately the most successful. He and other prolific composers including Erich Korngold and Frederick Hollander changed the tone of film soundtracks, giving them grandeur, sophistication and character, all drawn from the intense experiences of these men. Cinema Exiles was originally presented on public television, the roots of which can be seen in the no frills presentation and narrative. Sigourney Weaver is a pleasant, non-distracting narrator and the format is essentially as straightforward as with other PBS documentaries. It is the content that sings: amazing home video footage of German filmmakers discovering the California sun, newer and archival interviews in which émigrés remember their experiences and an excellent narration which analyzes the plight of these artists thoughtfully and with empathy. On May 2-4 Turner Classic Movies will be presenting a special program which highlights the work of the filmmakers featured in Cinema Exiles. In addition to a screening of the documentary, the network will broadcast fourteen émigré-directed films, many of which will feature the talents of other German artists in the industry.